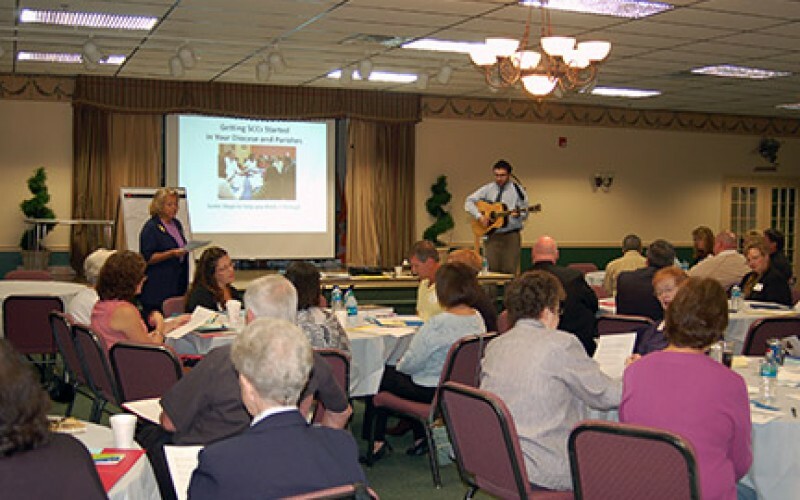 JoLynn Krempecki, director of Lay Ministry Formation, and Michael Jordan Laskey, director of Life and Justice Ministries, lead a prayer service at a workshop on small Christian communities Oct. 17 at St. Charles Borromeo Parish, Sicklerville. 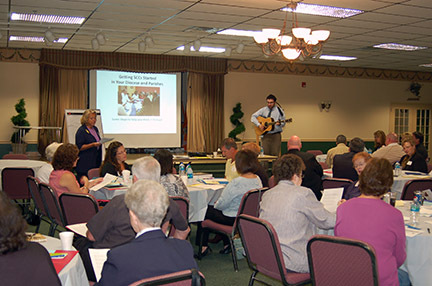 Small Christian communities – parish-based groups centered on prayer, Scripture and faith sharing – was the topic of a workshop held Oct. 17 at St. Charles Borromeo Parish, Sicklerville. The three-hour afternoon session was led by Dominican Sister Donna L. Ciangio, chairperson of the North American Forum for Small Christian Communities, and director of faith formation at St. Rose of Lima Parish, Short Hills, N.J. For many years, Sister Donna served as the director of Pastoral Services at the National Pastoral Life Center in New York City. 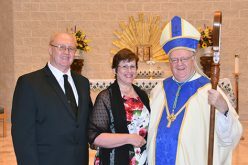 In this role, she was responsible for formation for pastors, small faith community training, conference development, and diocesan and parish staff consulting and planning services. With the aid of a PowerPoint presentation Sister Donna gave an overview of the development, theological basis and variety of small Christian communities. She also outlined steps to establishing and facilitating small groups in a parish. Small Christian communities are also called small church communities, faith reflection groups, faith sharing groups and other names. 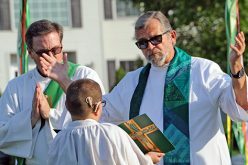 In North America these are parish-based groups of about eight to 12 people seeking to make their faith more alive in their daily lives. While the emphasis differs from one group to another, generally their purposes include prayer, mutual support, reflection on Scripture and life, learning, mission and participation in the larger church. 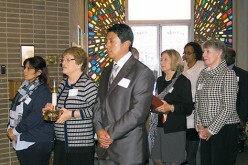 The workshop was sponsored by the Office of Lifelong Faith Formation, Diocese of Camden. 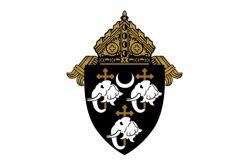 This office intends to initiate a diocesan/parish SCC committee (a blend of diocesan directors, pastors or pastoral associates, who will work together to determine “next steps” for parishes interested in starting or continuing small Christian communities. 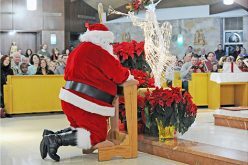 For more information about this initiative, please call or email Roseann Quinn, SSJ, D.Min., Delegate for Lifelong Faith Formation, Diocese of Camden, at 856-583-6124 or rquinn@camdendiocese.org.